In just 54 hours, Startup Weekend participants will experience the highs, lows, fun, and pressure that make up life at a startup. Pictured: Last year, Cherrypik team members worked to build a viable prototype for their startup, a website that provides lead-generation services and protection in the moving industry. The Maui Economic Development Board announced is now accepting online registration for their 4th Annual Startup Weekend Maui, scheduled to take place May 19-21, 2017. This event will provide active entrepreneurs with an opportunity to learn how to launch a company in 54 hours. The event will be held at the Maui Research and Technology Park in Kīhei, Maui; starting at MEDB’s Malcolm Center at 1305 N. Holopono Street, Suite 5. In just one weekend, participants will experience the highs, lows, fun, and pressure that make up life at a startup. Last year, the Startup Weekend Maui team of the Original FaceGuard captured first place. Currently, the originators, Danielle Travis and Molly Palmer, are pursuing their startup which offers a trendy and fun anti-microbial facemask for travelers. 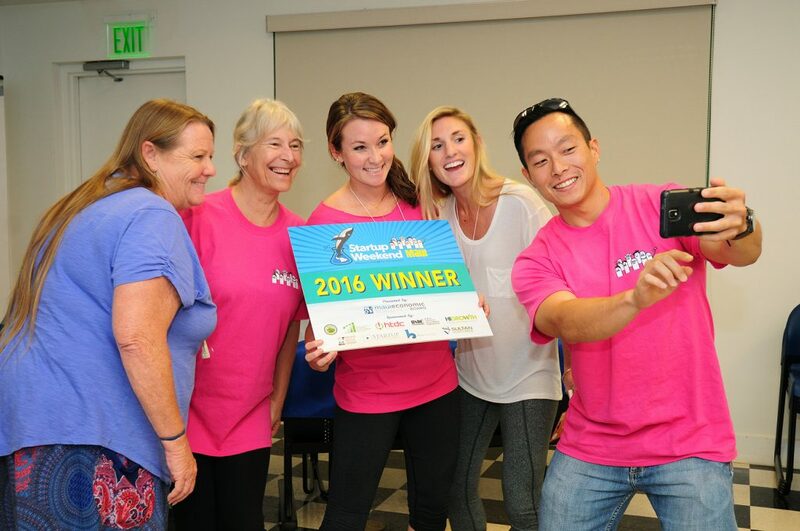 Pictured: The 2016 Startup Weekend Maui winning team (from left): Julie Lewis, Lorayne Lipps, Danielle Travis, Molly Palmer, and Austin Kozaki. All Startup Weekend events follow the same basic model: On Friday, anyone is welcome to pitch their startup idea and receive feedback from their peers. 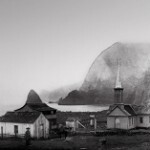 Teams organically form around the top ideas (as determined by popular vote); and then it’s a 54-hour sprint of business model creation, programming, designing, and market validation. The weekend culminates on Sunday with presentations in front of experienced entrepreneurs and investors who offer valuable feedback. 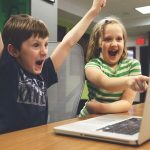 Those interested in warming up for this year’s Startup Weekend Maui are encouraged to attend a free Pitch Bootcamp workshop on Tuesday, May 16th. David Fry, leader of the 2015 Startup Weekend Maui winners Board.Vote and Frank De Rego Jr., Director of Business Development Projects at MEDB will facilitate this interactive learning experience. Participants will receive helpful tips on crafting a strong 60-second pitch for their startup idea and have an opportunity to hone their presentation skills through practice. 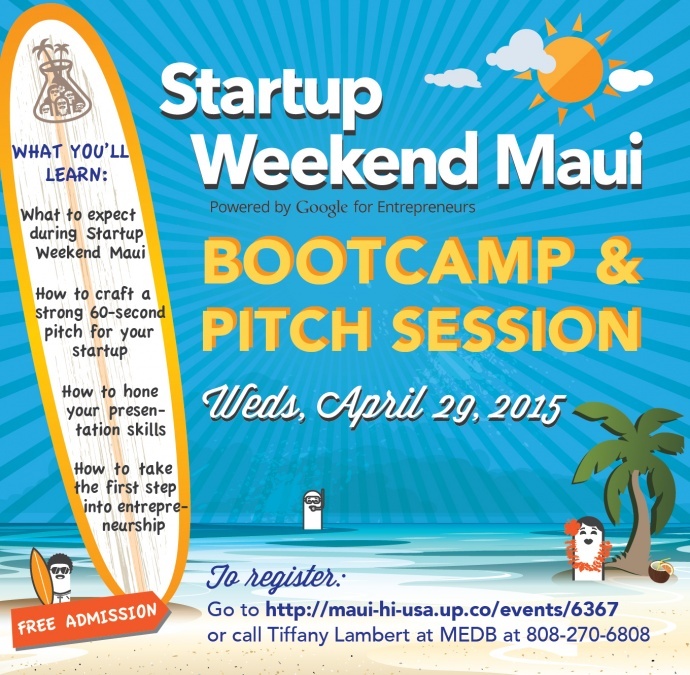 Participation in this Pitch Bootcamp will help provide a framework and additional tools for the main event, Startup Weekend Maui, on May 19-21. 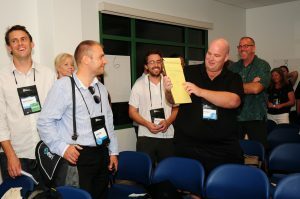 Participants will enjoy a fun ice-breaker during the kick-off of Startup Weekend Maui. “Startup Weekend Maui will provide a dynamic environment where participants can Connect with people that have diverse talents; Discover where they are at on the journey of being an entrepreneur; Learn what it really takes to start a company; and Start with a hands-on experience of business creation,” observed Frank De Rego Jr., Director of Business Development Projects at Maui Economic Development Board. Startup Weekend Maui is part of a global grassroots movement of motivated entrepreneurs with various skill sets who are determined to learn the basics of founding startups and launching successful ventures. Over its ten year history, the Startup Weekend movement has generated over 2,900 events in 150 countries around the world. For more information and to register for the Bootcamp and Pitch Workshop and/or the 2017 Startup Weekend Maui, visit http://bit.ly/SUWMaui2017. For additional questions, please email info@hightechmaui.com or call (808) 875-2300. Startup Weekend Maui is presented by the Maui Economic Development Board. Event sponsors include: County of Maui Mayor’s Office of Economic Development, High Technology Development Corporation, Pacific Media Group, Hawaiʻi Strategic Development Corporation, HI-Growth Initiative and Startup Capital Ventures.